COLUMBUS - Ohio had a plan. But that didn't happen. Patients won't have medical cannabis in their hands by the Sept. 8 deadline set by lawmakers when they passed a bill legalizing the treatment more than two years ago. Of the 26 businesses selected to grow cannabis in Ohio, just four have passed inspections to begin planting seeds. The first seeds were planted July 31 and will take 16 to 22 weeks to reach maturity. If those plants are going to be processed into oils, edibles and other products, Ohio will likely need more than the 10 processors that have met the state's requirements so far. More than 100 businesses applied, but few passed muster. Ohio is not the first state to legalize medical marijuana. It could have learned from states like Maine, which ramped up a basic program within a year, said Karen O’Keefe, director of state policies for the Marijuana Policy Project. Pennsylvania's law legalizing medical cannabis took effect in May 2016 and the first product was sold this February. 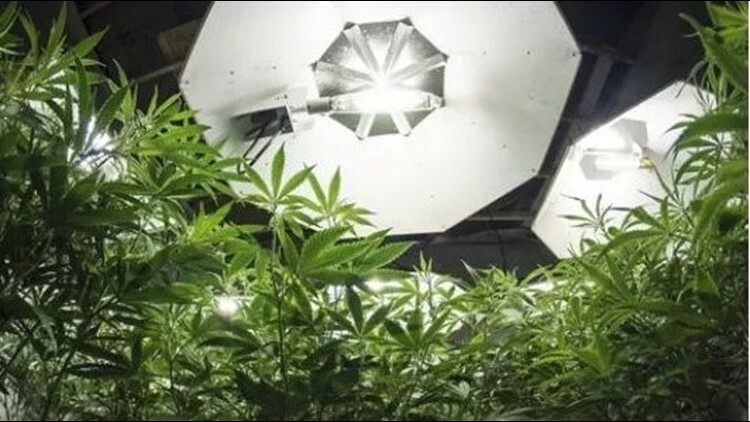 "Setting up a medical cannabis industry from scratch in the state of Ohio should not have been rocket science," said Bob Bridges, a member of Ohio’s Medical Marijuana Advisory Committee. Still, Ohio is far from the only state to face delays. Growers and state officials say bumps in the road are common with an entirely new industry. Other states have faced problems. New Jersey's former Gov. Chris Christie was slow to implement a medical marijuana program that he didn't fully support, calling efforts to expand it a "front for legalization." Florida's medical marijuana czar recently resigned amid delays and criticism that beleaguered his program. The Enquirer spoke with advocates for patients, a state regulator, a marijuana industry lobbyist, members of the medical marijuana advisory committee and national experts on the industry. Each had theories on why Ohio missed the mark lawmakers set. Was a two-year deadline just too ambitious? Ohio lawmakers set a deadline to have Ohio's medical marijuana program up and running by Sept. 8, 2018 – two years after the Gov. John Kasich-signed law took effect. That just wasn't realistic, said Marcie Seidel, a member of Ohio’s Medical Marijuana Advisory Committee. "I thought it was really very aggressive and thought that it probably couldn’t happen." Others thought two years was more than enough time. "All you have to do is look next door to Pennsylvania to say Sept. 8 was way more than enough to get this on," said Rob Ryan, a cancer survivor and marijuana advocate. He leads the Ohio Patient Network. Of the 31 states that legalized medical marijuana, the rollout periods have varied dramatically, ranging from five months to four years, according to a Marijuana Policy Project analysis. Mark Hamlin, who has overseen Ohio Department of Commerce's rollout of regulations since March, said everyone wanted to hit the Sept. 8 mark, but he would rather have a safe program than a quick one. "The places where (businesses) have seen people get in trouble is when they rush to hit some specific deadline," Hamlin said. "We're always going to be focused first and foremost on patient safety and access." The first step in setting up a successful medical marijuana program in Ohio was finding qualified businesses to grow it. Ohio Department of Commerce received 185 applications for cultivators – some larger, others smaller – on June 30, 2017. It took five months to score them and winners were announced in November. Almost immediately, there were problems. Businesses who weren't awarded licenses filed lawsuits. Some disputed the requirement that some growers be owned by economically disadvantaged groups, calling it a "racial quota." One winning applicant was initially denied a license because of a scoring error. Ohio Department of Commerce hired Ernst & Young to complete an independent review of the scoring. That review did not find any new problems with how cultivators were scored but did raise concerns about security risks while grading applicants. One of the people hired to grade the cultivators had a prior criminal conviction for drug dealing. Another scoring consultant had ties to one of the winners, Cleveland.com reported. Some lawmakers and Ohio Auditor Dave Yost wanted to pause the program to sort out any problems. Put simply: "The Department of Commerce failed to meet their marks. That’s just a fact," said Mike Gonidakis, a medical marijuana lobbyist. There are three methods states use to pick marijuana cultivators. Some states have no limit on the number of locations that can grow marijuana, letting the free market decide what's best. Other states have a basic threshold for applicants then award licenses via a lottery – sometimes with an actual lottery ball machine. The third option (and the one Ohio picked) is to score each applicant based on a rubric of qualifications. That route is always the most time-consuming, most costly and most likely to result in litigation, said Karen O’Keefe of the Marijuana Policy Project. To date, more than 50 failed applicants are still appealing those decisions, Hamlin said. With so many unhappy applicants, lawsuits ensued. A couple threatened to delay implementation of Ohio's medical marijuana program even further, asking a judge to wait until state regulators reviewed their appeals. Those were rejected. "Our argument was always that the application process for the cultivators was legal and valid," Hamlin said. "When the courts agreed with us on that, that was a big moment for the program to be able to move forward confident that were were able to get to the finish line." Another lawsuit questioned whether racial quotas were used to select certain applicants. That case is still pending. Yet another failed applicant wants the state to hurry up on its appeal. So that company filed a lawsuit. Once it became clear that the program wouldn't be stalled, businesses started building. Cresco Labs was the first to break ground in December 2017 in Yellow Springs. But marijuana growers ran into the same challenges that all construction projects do: local permitting, weather delays and issues with contractors, Hamlin said. Cultivators need to combine construction, agriculture, laboratory science, manufacturing and medicine to make a quality product, said Charlie Bachtell, CEO of Cresco Labs. "The state of Ohio has done a great job keeping things moving forward at a steady pace." To date, just four of the 26 passed inspections to start growing. But about a dozen inspections are planned in the next month. NORML political director Justin Strekal had little sympathy for construction delays. "This is America, and we’re talking about capitalists here," he said. "They need to meet the demand of people suffering from debilitating conditions." Of the 104 applications to process marijuana into oils and edibles, only seven initially met the state's requirements. That number is now up to 10, but it's far fewer than the 40 allowed. Another three processors could receive licenses soon if they pass background checks and tax checks. The rest were missing paperwork or details required to meet the state's requirements for applicants. Ohio Department of Commerce hopes to clarify what records state officials still need from other applicants "as quickly as we can" to hit 40 processors, Hamlin said. The Ohio Board of Pharmacy intended to announce which businesses would sell medical marijuana in May, but that didn't happen. The pharmacy board needed to complete background checks and make sure stores were far enough away from schools. Applications were due mid-November, but that deadline was extended when applicants had trouble uploading documents and submitting their proposals online. In the end, 376 applied and 56 were selected in early June. A registry of medical marijuana patients and caregivers was slated to launch earlier this month, but it too was delayed. By registering, individuals can receive the identification card needed to purchase marijuana with a doctor's recommendation from a licensed dispensary. But this delay is not because of a problem with the registry. It's based on concerns that patients wouldn't be able to obtain medical marijuana from another state if they were registered in Ohio. An "affirmative defense" included in the 2016 law to protect people who obtain marijuana in another state expires 60 days after the registry launches. Ryan, who runs the Ohio Patient Network, agreed with the decision. It would keep patients safe from legal snags. Bridges, the patient advocate on the state's advisory committee, was less convinced. The Ohio Bureau of Motor Vehicles doesn't wait to issue you a driver's license just because the car dealership doesn't have a truck on the lot, he explained. "This is purposely designed to hurt patients." The Associated Press and Enquirer reporter Randy Tucker contributed to this article. When will Ohioans be able to purchase medical cannabis? Everyone's best guess: around the end of 2018. That should give businesses time to plant and grow marijuana. But state officials aren't setting a new date.